Milano is without discussion the financial, industrial and fashion capital of Italy (I am sorry Rome, the real capital). 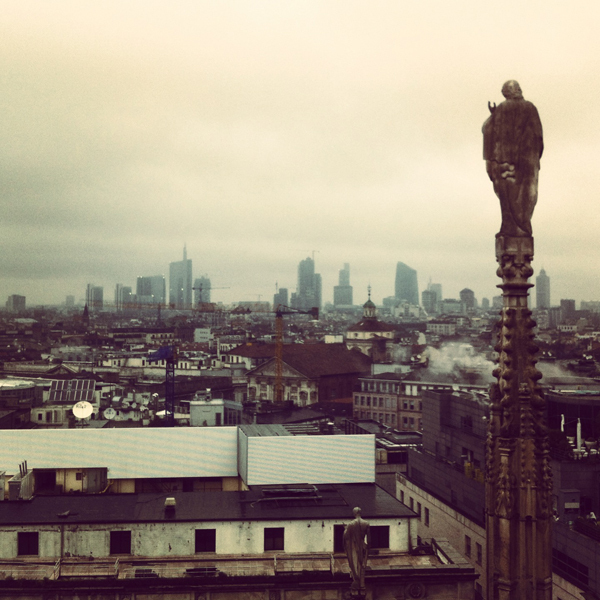 Milan is the centre of everything, industries, universities, fashion districts, TV headquarters and luxury hotels. Milan with its monuments and historical building makes it the perfect place for a weekend gateway of culture, shopping, good food and nightlife. I studied at the university in Milan for three years and my best memories are all from those years spent running around town, studying (as well!) and making the most of what the city offers. You know when you grow in a small town and suddenly you see the big city…it’s always a shock, a positive one! I have always been fascinated by the architecture in Milan, I love it and I could stare all the at the majestic building of the Stazione Centrale, wanted by Benito Mussolini to represent the power of fascist regime, I could sit for hours on the steps of the Duomo, I could pray all day the Madonnina that overlooks and protect Milan, I could hang out all day with friends at Colonne di San Lorenzo, I could walk miles up and down Via Montenapoleone (the quadrilateral of fashion), I could easily go around the city in the underground without get lost, linea rossa, linea gialla, linea verde… I could drink a beer to every bar along the Naviglio Grande and I could dance the night away in the disco clubs in Corso Como…we love the MOVIDA MILANESE!